Eddie Glass and Ruben Romano (ex Fu Manchu) have put together one of the most sonically aural music obliterations ever put down on tape. 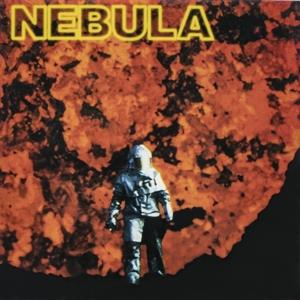 Along with Queens of the Stone Age and Eternal Elysium, Nebula were one of the most pleasant surprises in the stoner rock movement. To call them another stoner rock band is an injustice to their versatility and dynamism. Nebula experiments with different types of sounds, including the raga piece "Raga in the Bloodshot Pyramid." Arguably one of the best white-played ragas, besides the Northwood Improvisers' phenomenal Stargarden, the song offers a refreshing change from the average fuzz-infested rock tune. The guitars are brash, loud, covered in mud, and loaded with crotch-kickin' feedback. The interplay of the drums and bass and the extended guitar jam on the aptly titled "Sonic Titan" is one of several highlights on Let It Burn. There is no dead weight here. This is especially true of the bonus tracks, which include the rawest, most brilliant song on the album, "Devil's Liquid." If you are a fan of the genre, or just Fu Manchu, then put down your bong and Black Sabbath vinyl long enough to go out and find yourself this masterpiece.